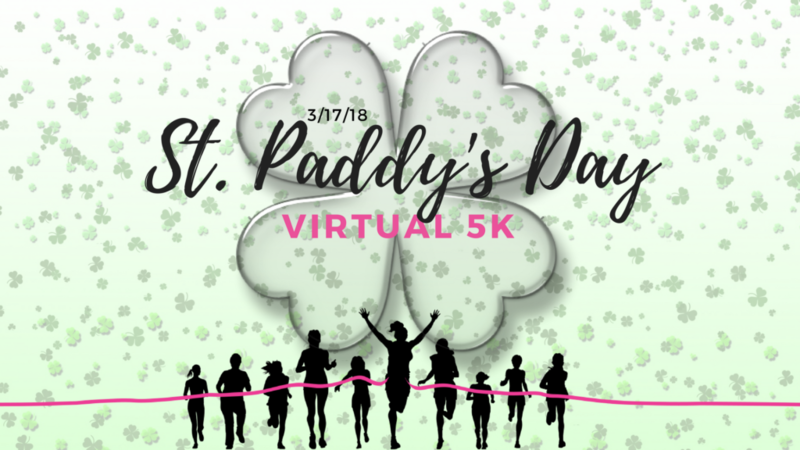 Interested in doing a 5K? Grab a friend, spouse, neighbor, significant other, dog, stranger, etc…and hit the road, the sidewalk, the trails or the treadmill…WHATEVER! This is your 5K to run, walk, skip, hop, crawl ANYWAY you like! *You get the idea, right?! You’ve got 4 weeks to train, recruit, and plan for the big event. Map out a 3.1 mile course, dust off your treadmill, or find a local track, lace up your shoes and start training! 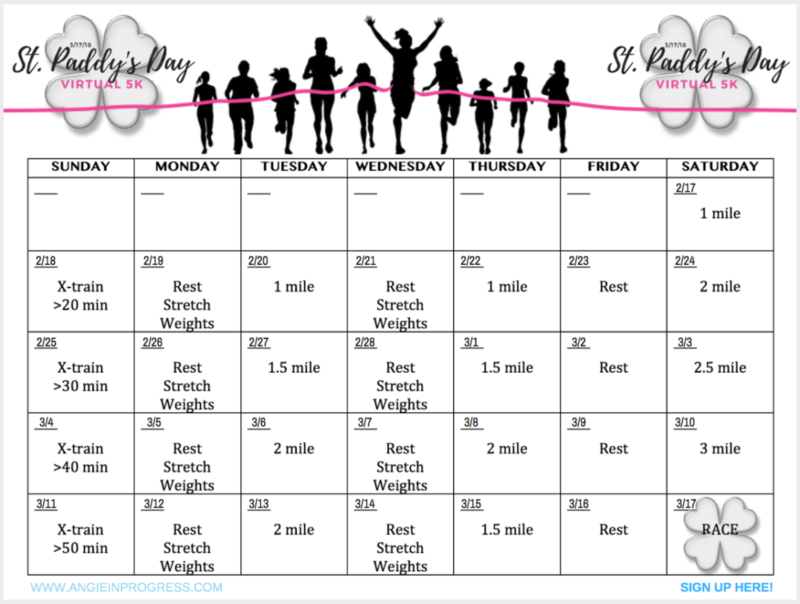 Here is a 30 day training schedule you can follow to prepare for race day on March 17! Click for a printable version. Mileage Days: On these days, you will walk or run the designated distance. On day one you’ll begin with one mile. By the end of the challenge you’ll be completing 3 miles. A 5K is just over 3 miles, so you’ll know that you can finish the race. The only variable will be how fast you go. Warm up for five minutes, do your distance at a pace you feel comfortable with, and then cool down for five minutes. Cardio CrossTraining Days: Do this the day after your longer mileage day. This will aid in muscle recovery because you’re allowing the muscles you need for running/walking to rest, but you’re still moving and triggering other muscles to work. Some examples: Stationary bike, swimming, elliptical or rowing machine. Rest/Stretch/Strength-Training Days: These days are challengers’ choice. Stretching and strength training are both important parts of your training plan. Strength training leads to stronger quadriceps and hamstrings, which creates healthier knees and decreases your chance of injury. Add yoga to your schedule to help improve your flexibility and prevent injury. Mandatory Rest Day: No matter how good you feel, it’s essential that you take at least one full day per week to completely recover. On Saturday March 17 we’ll all do our own personal 5K’s – however, wherever and with whomever we choose! We’ll then report back with our results and celebrate all of our personal victories! Whether it’s your first or fiftieth 5K, it’s your race to win! Put it on your calendar and start training! PRIZES! Everyone who participates will be eligible to win prizes! Sign up below to join the event, receive additional information, training tips and race day instructions! Invite your friends – the more the merrier!